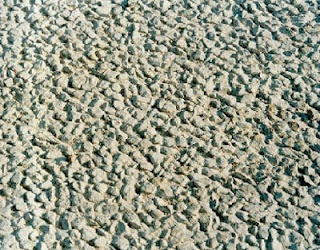 After development of whisper concrete in Belgium, no guidelines or specifications were not available for this exposed aggregate concrete finishing. 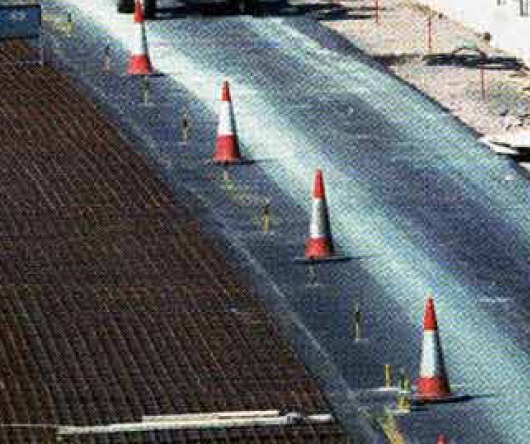 After Belgium, many countries of this continent use this resurfacing method of providing skid resistance and noise reduction due to high speed vehicles. This method when used in United Kingdom, their also it becomes popular. But British engineers set guidelines to adopted whisper concrete. First we recall the whisper concrete finishing procedure, to understand the changes were brought in British guidelines. We will discuss this in brief in few words. A 40-50 mm thick concrete layer is provided over smoothened concrete pavement having a coarse-aggregate size ranging from 6-8 mm. While the concrete is green a retarder mixture of glucose, alcohol and water is sprayed on it and covered with polythene sheet immediate after applying spray. After 8-36 hours, the sprayed surface is swept and using special bristle brushes, top 1.5-2 mm is removed to form an exposed aggregate surface, named whisper concrete. Austria is also worked much with this resurfacing concrete finishing. British guidelines provide complete guidelines including sub-base foundation and main concrete pavement. The main concrete pavement is known as continuous reinforced concrete pavement (CRCP). Under standard conditions-the sub-base should be cement based sub-base. The thickness recommendation is about (150-200) mm. Over this sub-base a continuously reinforced concrete pavement, known as CRCP, is provided. The recommended thickness of CRCP should be 200 mm. we will discuss about CRCP in upcoming post. Over the CRCP the whisper concrete is applied. The recommended thickness of whisper concrete is 50mm. 1. Generally coarse aggregate of 8 mm size is recommended for this concrete surfacing. Only 3% oversize of specified size can be accepted. Only 10% undersize of specified size can be accepted. 2. A limitation on flakiness index is also provided. This should not greater than 25%. 4. For a certain amount of concrete, the coarse aggregate should consist 60% of it. 5. Regarding retarder- there should be glucose, alcohol and water. 6. 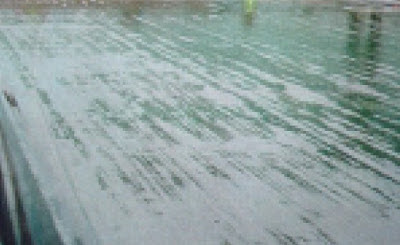 The spraying surface should be covered with polyethylene sheet. 7. The removal period of polyethylene sheet should be after (8-36) hours.